How do I sell with Vimeo OTT on my external site? 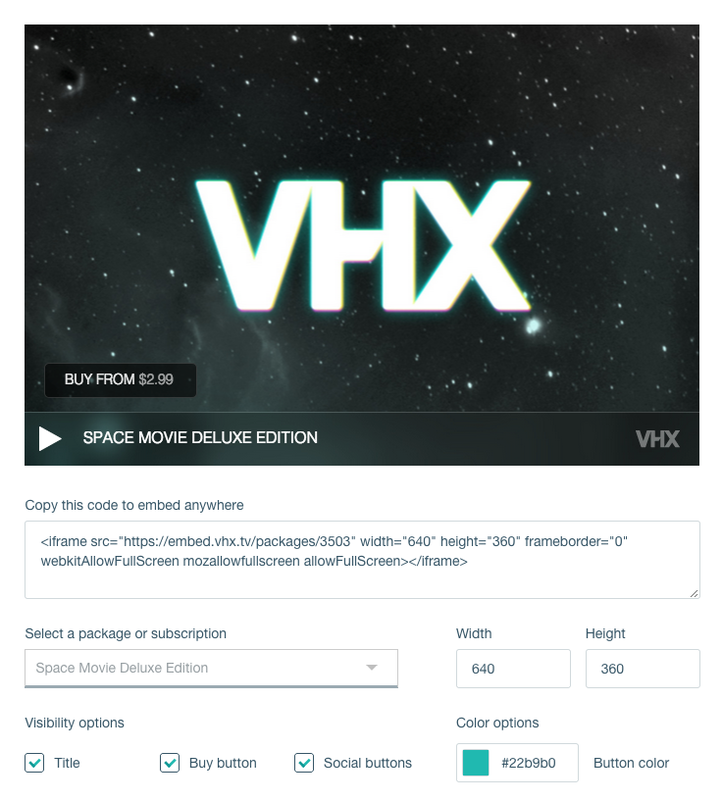 If you already have a website for your work, and want to use Vimeo OTT to sell, you can embed a trailer to integrate the viewing experience on your already made site and offer a redirect for the checkout. You can only embed the trailer widget on your external website. Once someone subscribes, they are seamlessly redirected to a Vimeo OTT hosted page to view your video content. The paid videos do not get embedded on your external site, just the trailer does. 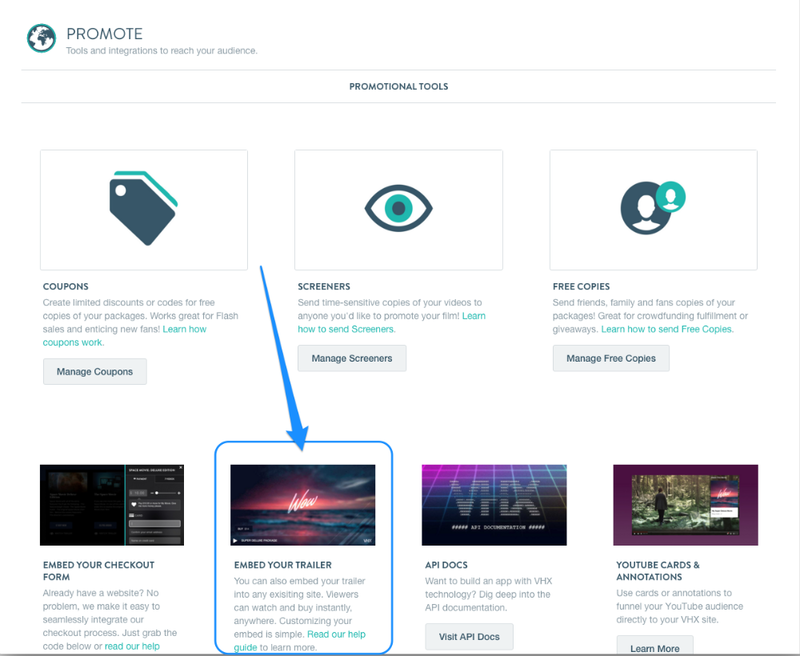 Head to the Promote page under the Distribution tab of your Vimeo OTT admin or visit http://vhx.tv/admin/tools. On the Trailer Embed page, you'll see the embedded preview video at the top of the page with the embed code underneath it. You can change the following settings to customize the look of the embed. Product - Select which product trailer you want to embed. Width & Height - Change the size of the embed. Visibility options - Choose if you want the Title, Buy button, or Social buttons visible in the embed. Color options - Change the button color in the embed. Now, you can copy the Embed code from the page and paste it into an HTML field on your site or blog and save!